Way to Heat Your Home? Tired of Paying High Fuel Bills? 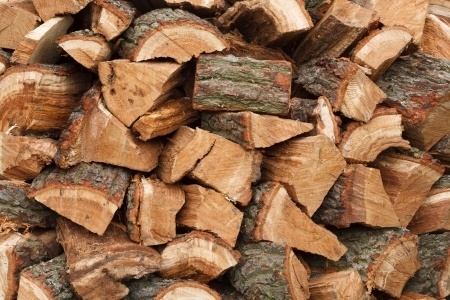 As the price for fuel and energy continue to rise many people are turning to firewood as a low cost, economical way to heat their home! We've all been there. It's the middle of winter, the heat is turned down low, everyone is complaining of being cold and your dreading the thought of your next heating bill. It's at this point you realize something needs to change. Of course everyone wants to be comfortable and stay warm but how can you do it at a reasonable cost? What are your options and where do you start? It's an abundant natural resource that provides affordable, low cost heat. Harvested by our ancestors for hundreds of years, many people have grown to appreciate the warmth and beauty of a natural fire. Recently the price of natural gas, propane and fuel oil have been anything but predictable. Global conflict, the stock market and natural disasters all impact what we pay for fuel. The one thing that remains the same from year to year is the price of wood. Typically, wood can be purchased for the same price every year eliminating the stress and possibilities of skyrocketing fuel prices. It seemed like every year I would stress over the purchase of propane. Should I save up a bunch of money and try to pre-pay for the propane and get it at a reduced price? How much should I buy? How much will I need? Unless you have a crystal ball no one knows the answer. Several years ago as a new homeowner, I asked this same question. I made it through the first winter in a new home and realized the cost of propane was just too much for me to afford. So, I decided to look into an alternative heat source. Now, almost 15 years later I can enjoy a warm comfortable home during the coldest winter months and can rest easily knowing it's costing me basically nothing. I have always been fascinated with it....I know, it sounds weird right? I look at a tree and think wow....now that would make some nice firewood! I grew up cutting wood, helping my dad and grandfather at a young age. Since then I have made it my passion to learn as much as possible about this natural resource. So what does all this mean? Through research, personal experience, success and mistakes, I have created a guide to share this information with everyone. By doing this I hope that everyone can realize affordable heating is possible and you no longer have to dread your monthly heating bill. 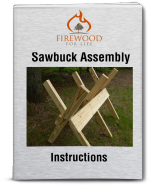 Take a look at this site to find all you need to know about firewood. You too can reduce or eliminate those dreaded heating bills.